We know when we send a gift on your behalf that it is a reflection of you and your high standards. As a result, we work very hard to ensure your gifts are filled with the very best products. Our philosophy is that every item in our gifts must be able stand on its own as an impressive standalone gift and; that means working only with the very best brands! 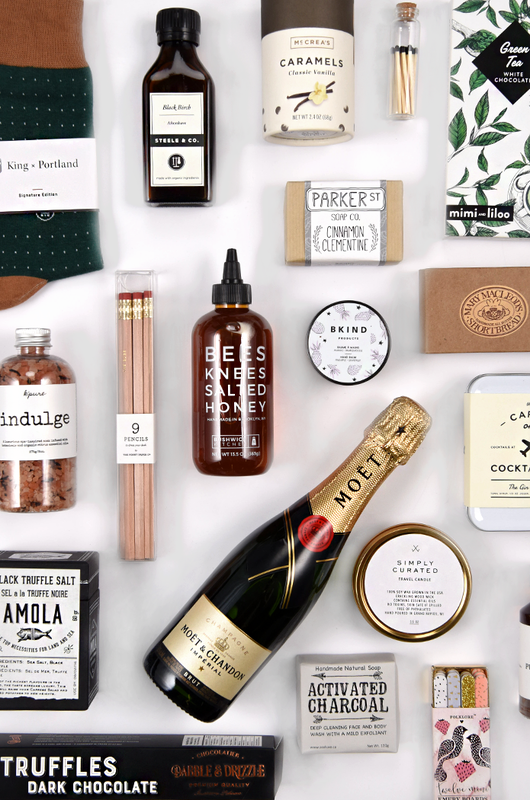 We take pride in sourcing products for our gifts from incredible Canadian companies from coast to coast; otherwise we source from leading brands around the world who are innovative, on trend and premium in every way. We try to avoid products and brands that are available at mass grocery, while ensuring we adhere to the highest food safety and quality standards.